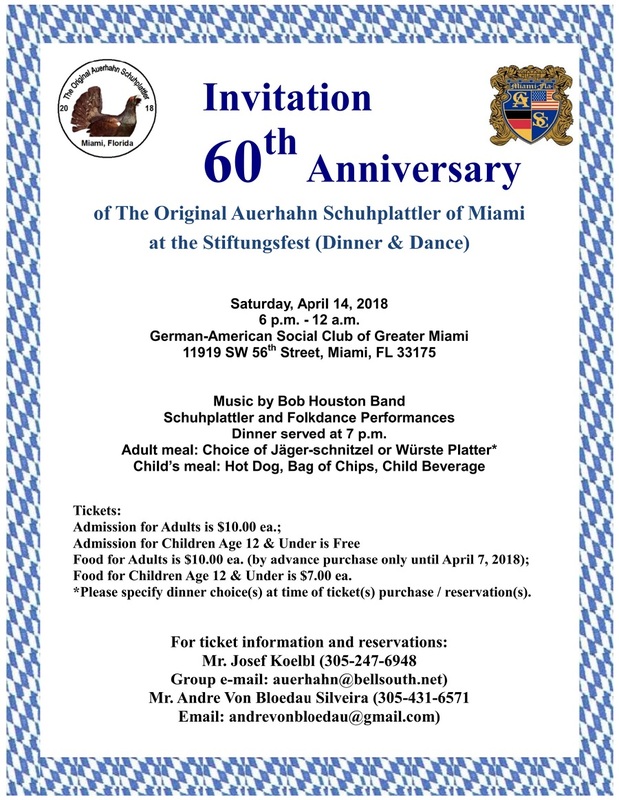 The Original Auerhahn Schuhplattler of Miami is celebrating 60 years with a Stiftungsfest. Come celebrate with us on Saturday, April 14, 2018, at our host clubhouse, German-American Social Club of Greater Miami (11919 SW 56th Street, Miami). For more information contact Joe at 305.247.6948, auerhahn@bellsouth.net, or Andre at 305.431.6571, andrevonbloedau@gmail.com. Take a look at the flyer for more information.